Maltese democracy, already heavily sabotaged, takes the first of what will be many blows under the Delia-Muscat collaborative regime, with the cancellation of elections of the nine members of the Local Councils Association executive committee. The association oversees local councils. 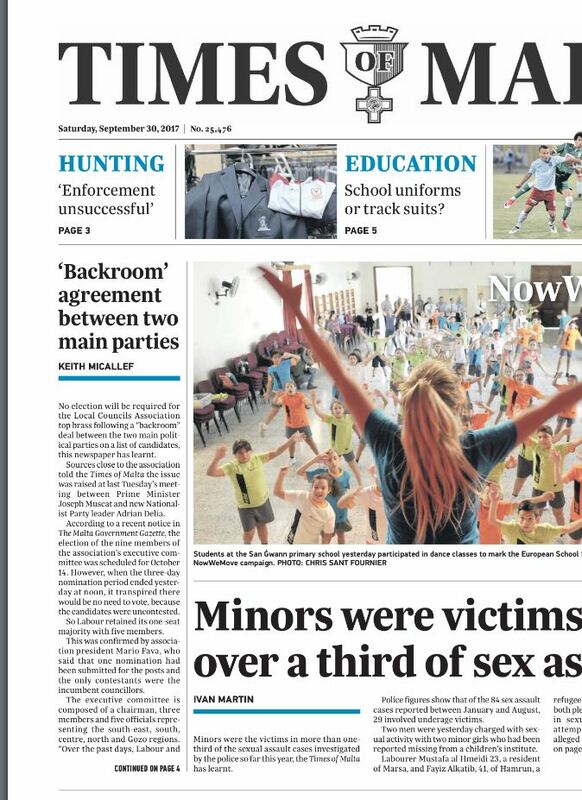 The Times of Malta has the story today. The election was scheduled for 14 October, and the requisite notice published in The Malta Government Gazette, but when the three-day nomination period ended yesterday at midday, there were no nominations to contest the incumbents, which means that the elections will be cancelled. Sources told the newspaper that officials of both political parties met and struck a quiet deal behind everyone’s back except their own. They also told the newspaper that this unorthodox agreement was discussed when the Nationalist Party leader went to the Labour Party headquarters last Tuesday to meet the Labour leader. Local councillors who spoke to the Times of Malta expressed their unhappiness at what they said is a “dangerous precedent”. They said that councillors of both political parties were keen to stand for election to the executive committee but were ordered not to do so because of the deal that had been struck between Adrian Delia and Joseph Muscat. 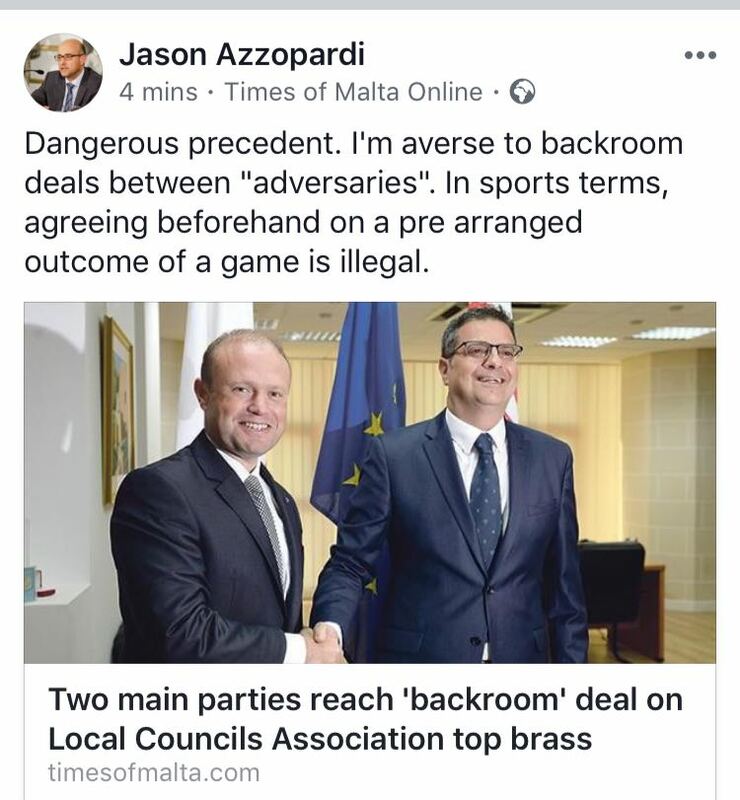 But unnamed Nationalist members of parliament who spoke to the Times of Malta said that Delia did not even hint at this deal when he convened a meeting of MPs for the first time last Wednesday, the day after he met Muscat. “We have now consented to deny local councillors the right to choose their representatives on the association,” these sources told the newspaper.